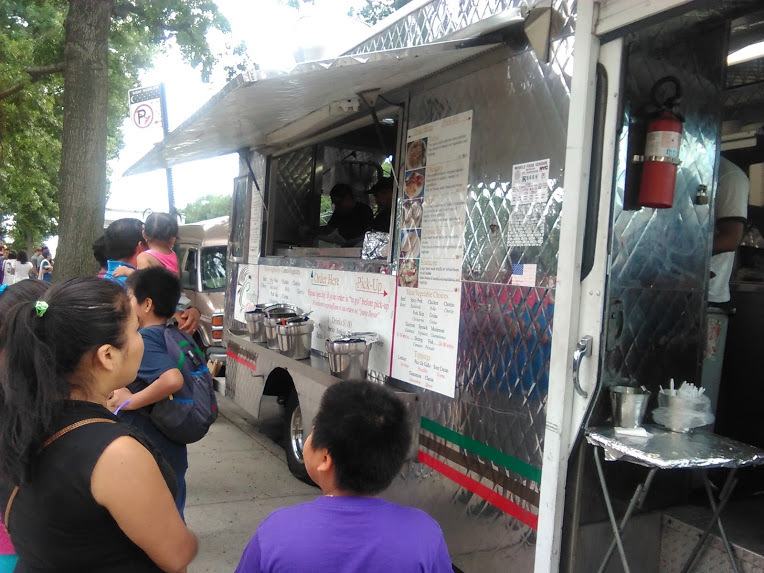 Food trucks – they’re trendy and tasty (sometimes tasty. I had a negative experience once with some sliders and crinkle-cut fries). I remember when Cheesed and Confused made its debut in Geneseo and students came together over late-night pulled pork and mac’n’cheese sandwiches. In NYC, food trucks are huge. There’s gotta be hundreds of food trucks and they even get their own websites for users to locate the trucks: nyctruck.com and roaminghunger.com! They sell burritos, cookies, salads, sushi, kimchi – everything. But Red Hook was on its food truck game WAY before any foodies started retrofitting UPS trucks in 2005 to sell poutine and lobster rolls. 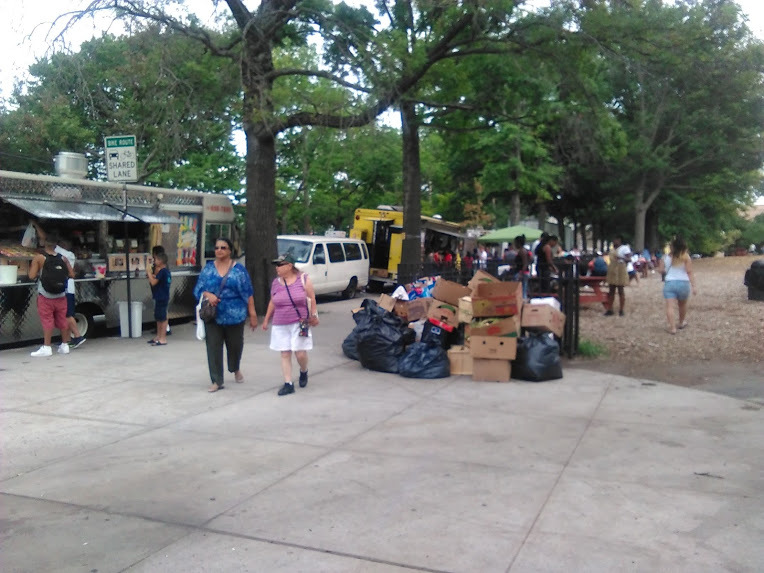 Since 1974 Red Hook Park has welcomed Red Hook Food Vendors every weekend (during appropriate months) to sell the most authentic, mouth-watering Latin street food, from chalupas and tacos to grilled corn and pupusas. Now in its 41st year, the Red Hook Food Vendors are going strong: They even won four Vendy’s, the NYC equivalent of Oscar’s for street food! 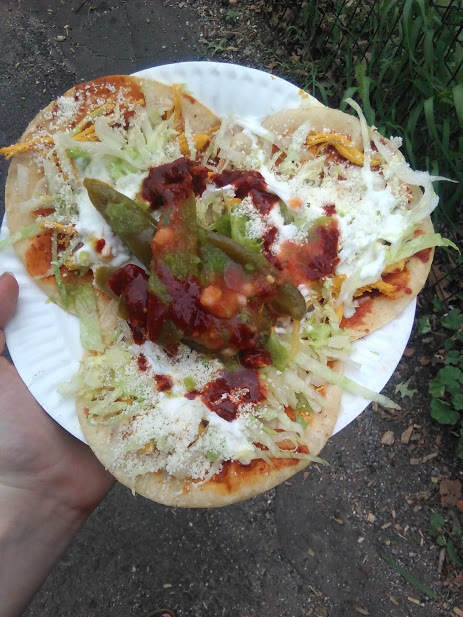 Amazing chalupas, 3/$7! With pickled jalapeños, as I choose to live dangerously. Red Hook Park is right across from the Red Hook Recreation Center, home to one of the best and biggest public pools in NYC. The Guatemalan soccer league offers a good show while you eat to make for the perfect weekend afternoon. 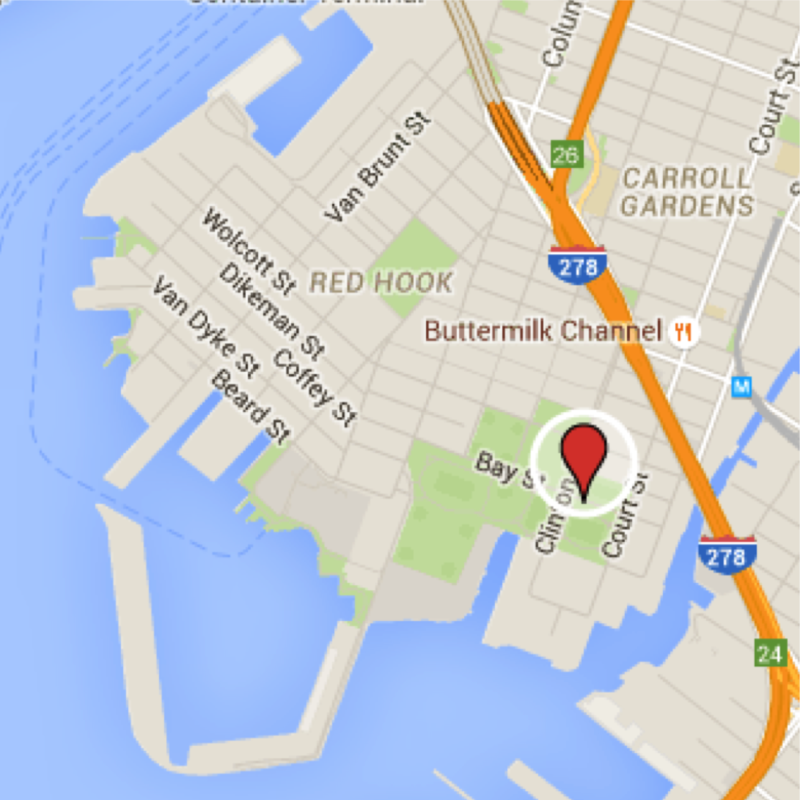 BKLYNR: Red Hook’s Food Vendors are the best in the city. So why might their days be numbered?